Oh my, I hauled. I hauled real bad. There’s nothing more attractive to me than a storewide % discount. I think I may have shopped myself a little stupid this time. Wanna see the damage? Here we go…. Yep. That happened. Being in Australia, we have to deal with a lot of products either not being available to us at all, available but only in a couple of places in the entire country, exorbitant prices and not getting new releases until months later. So I have had a Sephora (US) account for a number of years now and I have a ship forwarding company re-direct to me. It does cost, so I don’t do it too often. And I make it worth it (clearly!). 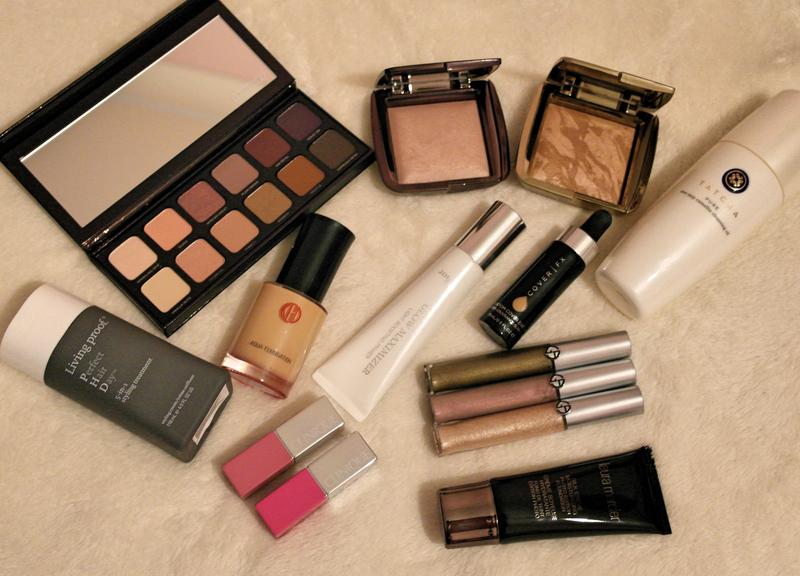 But with the lower prices than AUS already plus a 20% VIB discount, it seemed worth it to me in this instance. The Bases. I picked up 3. Little bit of overkill I suppose. But I am pretty happy with my guesstimate on shade selections. So that’s a good thing. Laura Mercier has revamped the Silk Crème formula and is now offering both a Moisturizing & Oil Free version. I didn’t particularly love the original version, it felt drying and pooled in my pores after a bit of wear. So i went with the Silk Crème Moisturising Photo Edition Foundation in the colour Beige Ivory which seems a smidgen to dark but I can make it work. I have only worn this once, but all signs point to fab! The second is the Koh Gen Do Aqua Foundation in shade 123. After hearing the like of Karima from Shameless Fripperies rave about this one, I knew it would have to be a winner and let me tell you, I wasn’t disappointed. Again, I’ve only worn it once so far (and only for 3 hours) so I will test this one further and let you know my thoughts. The final one is the Cover FX Custom Cover Drops in shade N30. This one seems the most interesting to me. The bottle contains pure foundation pigment and can be mixed with moisturisers, oils, primers, foundations etc etc to customise your base for either the perfect shade or perfect coverage, I went with a guess of a slightly darker shade, in the hope of being able to darken up a few foundations I own to suit my skin better. This one, I feel like I’m going to have to have a good play around with before I’ll be able to form any kind of worthwhile opinion. But if they work how they advertise they work, then, happy days. The Primer. Yeah, yeah, I know I can easily get ahold of this one here, but I was ordering anyway…. 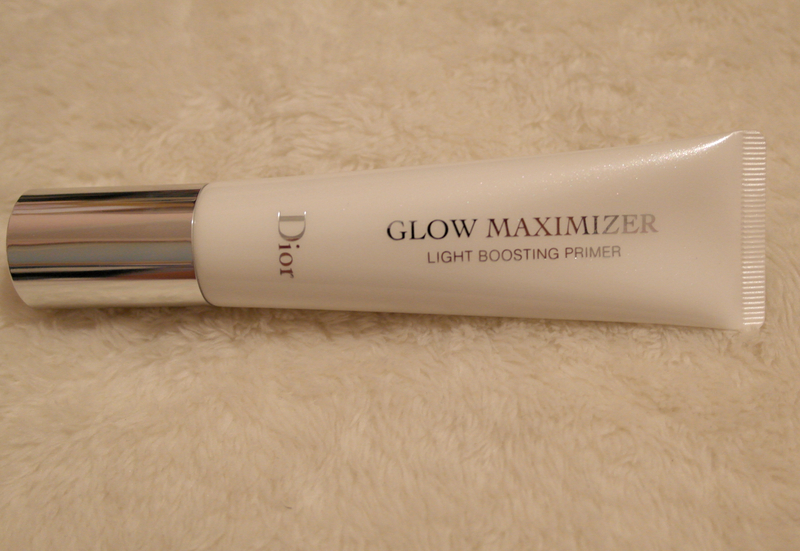 so the Dior Glow Maximiser Primer got added to basket. Same story, used once so far. Seems great. 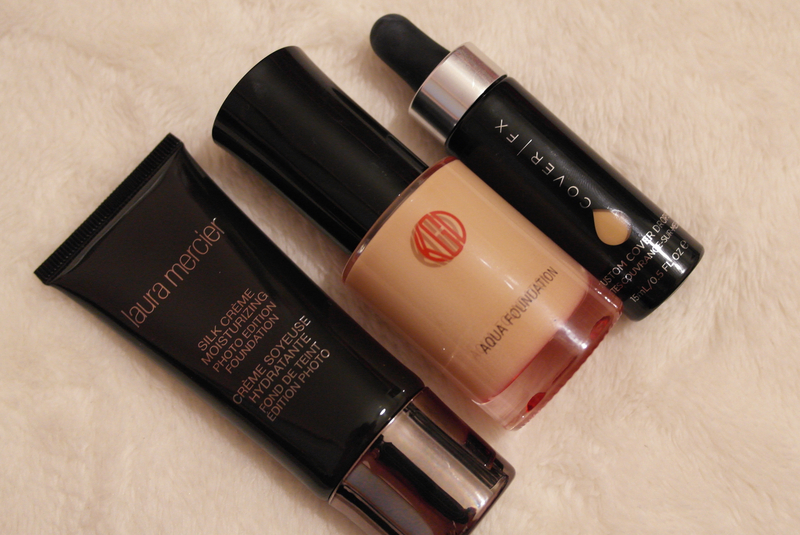 I applied this under the Laura Mercier Silk Crème Moisturizing Foundation, and whoa, did I NOT need any highlighter. Awesome stuff. The Eye Tints. Such pretties. 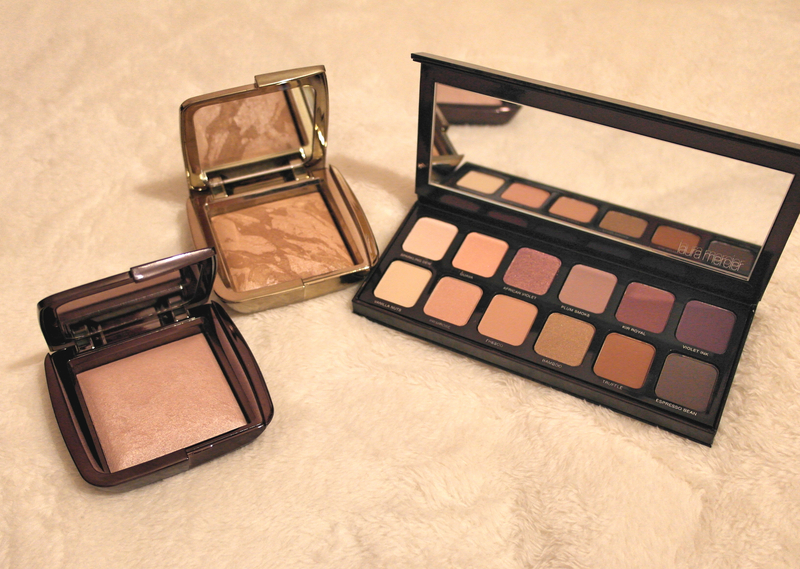 The Giorgio Armani Eye Tints in the colours 6 Green Iron, 8 Flannel & 12 Gold Ashes. I haven’t worn them yet, but Green Iron is unlike any colour I have and is the one I’m most interested in. The Powders. 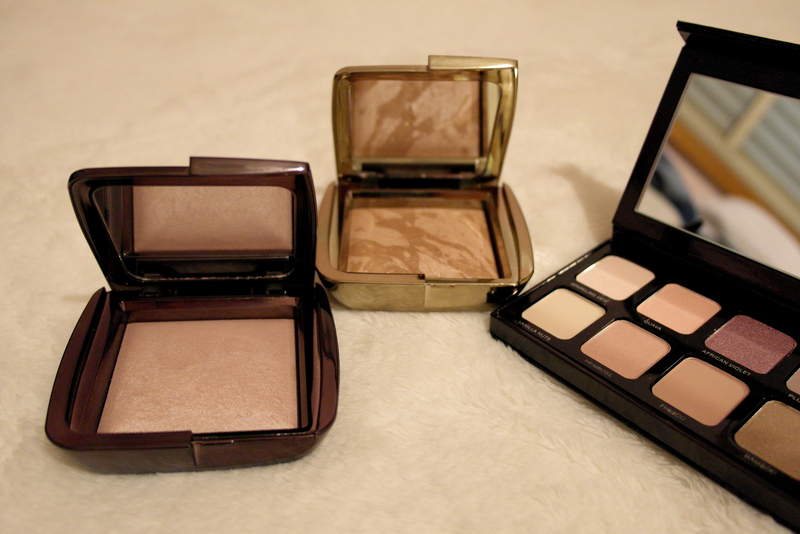 Hourglass Ambient Lighting Powder in Mood Light & Hourglass Ambient Bronzer in Luminous Bronze Light are just perfection. Loving. Word of warning though, the Ambient Bronzer is most definitely a bronzer. DO NOT contour. Far too warm. But it looks lovely softly dusted onto the usual bronzing areas. Thoroughly impressed, but I didn’t really expect anything else from Hourglass. 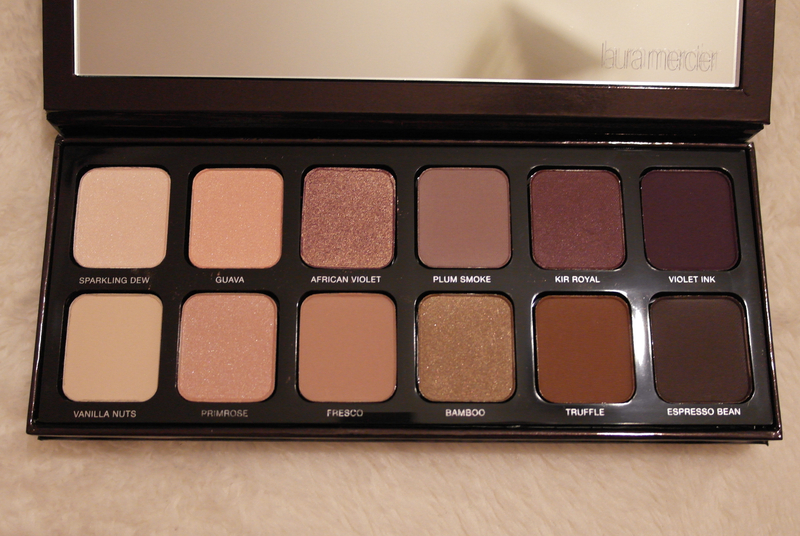 The Laura Mercier Eye Artist’s Palette was purchased on a whim and i was totally talked into it by the ratings and comments. I haven’t had a chance to play with this yet, but the colours are pretty, Very mauvey. The Lips. 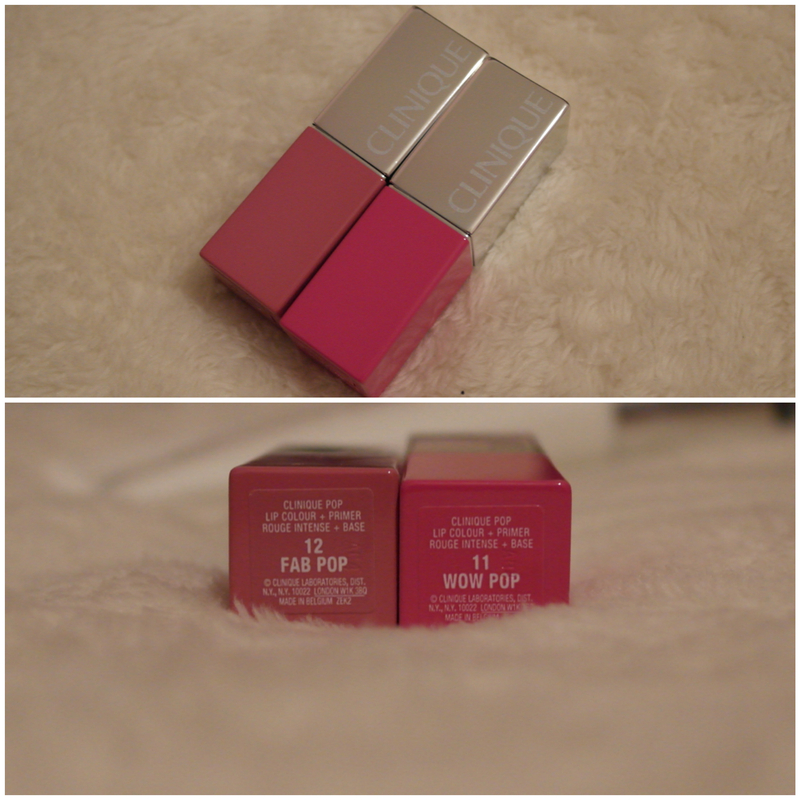 I’ve heard so many people rave about the Clinique Pop Lip Colour + Primer so I couldn’t resist. Unfortunately upon a quick swatch I don’t LOVE the shades 🙁 I will try them again and see, maybe I was just in a mood? I usually love brights but have been having a real nudes lip week, so I guess its a maybe? The Cleanser. Oooh, this one so far is lovely. The Tatcha Pure Step Camellia Cleansing Oil is my first “liquid” oil cleanser. I am far more likely to go for balms than a straight up oil, so this is a first. The Hair. This one will be getting it’s road test tomorrow morning when I (will likely wake late) go to a function and have to be up early and ready by 10am. On.A.Sunday.Rude. 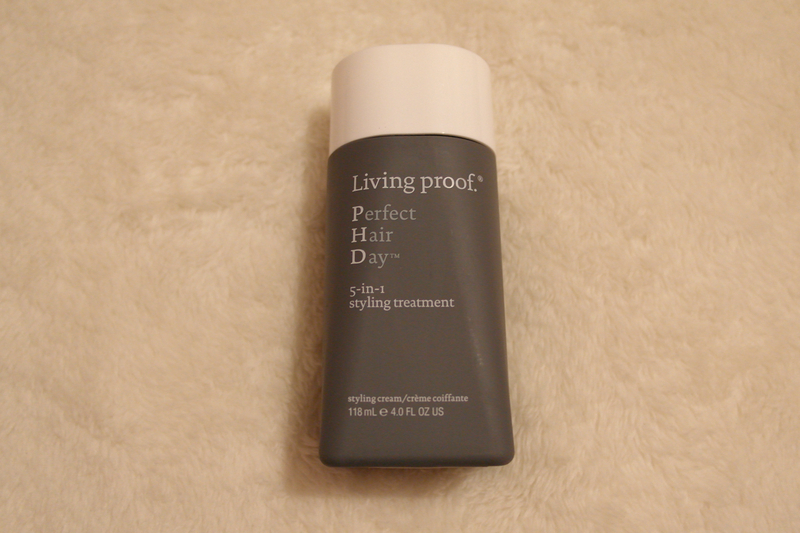 The Living Proof Perfect Hair Day – 5-in-1 Styling Treatment is said to provide “volume, smoothness, conditioning, strength, and polish in one easy step” we shall see hey? I am such a lazy bones when it comes to my hair. I recently cut a fair few inches off in the hope it will inspire me to actually “style” my hair rather than just chuck it back in a pony. Miracle worker? I hope so. Is there anything you want to hear more about or see reviewed? Let me know in the comments! Empties #4 Out With 2015, Hello 2016!